Vanessa Kaye Solomon Durham “Poochie”, daughter of the late Fred Elton Solomon and Carrie Lee Alston Solomon, was born January 9, 1970 in Franklin County, North Carolina. She went to her heavenly home on Thursday morning, August 16, 2018. Vanessa joined Shady Grove Baptist Church at an early age where she remained a faithful member until her declining health. During her younger age she served on the Usher Board and Junior Missionary, but her greatest love was singing with the choir. She sang with the Junior Choir, Young Adult Choir, TJR Mass Choir, Love Fellowship Choir and the Community Gospel Singers of Louisburg. Vanessa was educated in the Franklin County School System where she graduated from Louisburg High School, after which she attended St. Augustine’s College in Raleigh, North Carolina. Before her declining health, Vanessa worked as a CNA at Louisburg Nursing Center and Britthaven Nursing Home. Her favorite hobby was doing crossword puzzles. Vanessa was united in marriage to the late Rodney Durham and to this union one son was born. Vanessa was preceded in death by both parents and two brothers, Phillip Solomon and Robert Thorpe. 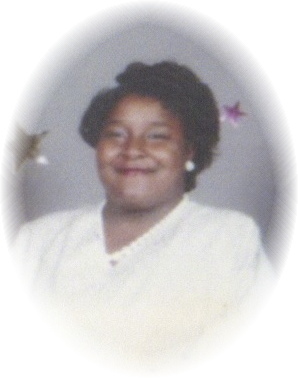 She leaves to cherish her memories: one daughter, Evette Solomon and one son, Ramon Durham both of the home; two sisters, Hilda Solomon of Louisburg, NC and Shirley Thorpe of Chapel Hill, NC; five brothers, Carlton Solomon (Eugenia) and Cornelius Solomon both of Louisburg, NC, Ricky Thorpe of Leland, NC, Tony Thorpe of Fayetteville, NC and Anthony Thorpe of Garner, NC; three aunts, Shirley Austin of Louisburg, NC, Mamie Yarborough of North Brunswick, NJ and Annie Perry of Henderson, NC; two uncles, Roger Solomon (Barbara) of South Ozone Park, NY and Thomas Moore of Louisburg, NC; a host of other relatives a and friends.